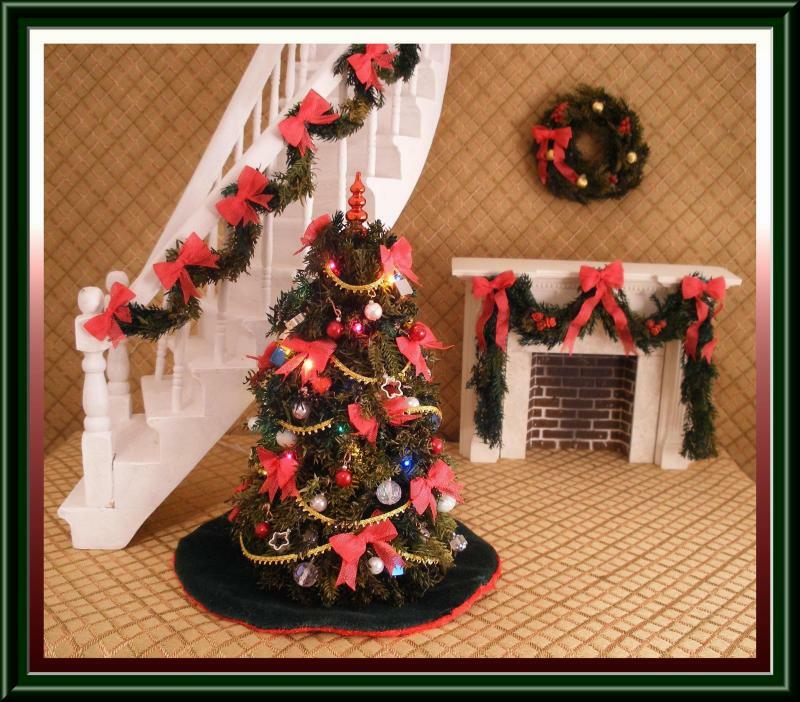 This delightful holiday garland can be used on fireplace mantels, windows or doorways in your miniature settings. 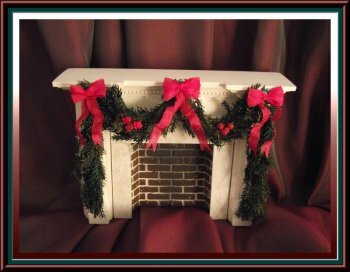 Made from natural preserved Princess Pine and adorned with berries and red silk bows. Since its constructed on a wire it is adjustable to most situations.